STOCKHOLM (Reuters) – Emelie is plagued by hallucinations and nightmares. When she wakes up, she’s often paralyzed, unable to breathe properly or call for help. During the day she can barely stay awake, and often misses school or having fun with friends. She is only 14, but at times she has wondered if her life is worth living. 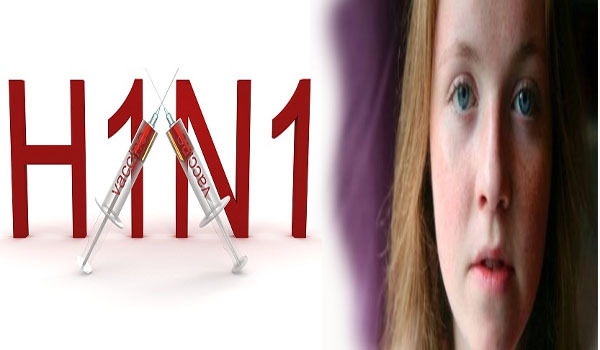 Emelie is one of around 800 children in Sweden and elsewhere in Europe who developed narcolepsy, an incurable sleep disorder, after being immunized with the Pandemrix H1N1 swine flu vaccine made by British drugmaker GlaxoSmithKline in 2009. Finland, Norway, Ireland and France have seen spikes in narcolepsy cases, too, and people familiar with the results of a soon-to-be-published study in Britain have told Reuters it will show a similar pattern in children there. Their fate, coping with an illness that all but destroys normal life, is developing into what the health official who coordinated Sweden’s vaccination campaign calls a “medical tragedy” that will demand rising scientific and medical attention. Europe’s drugs regulator has ruled Pandemrix should no longer be used in people aged under 20. The chief medical officer at GSK’s vaccines division, Norman Begg, says his firm views the issue extremely seriously and is “absolutely committed to getting to the bottom of this”, but adds there is not yet enough data or evidence to suggest a causal link. Others – including Emmanuel Mignot, one of the world’s leading experts on narcolepsy, who is being funded by GSK to investigate further – agree more research is needed but say the evidence is already clearly pointing in one direction. “There’s no doubt in my mind whatsoever that Pandemrix increased the occurrence of narcolepsy onset in children in some countries – and probably in most countries,” says Mignot, a specialist in the sleep disorder at Stanford University in the United States. In total, the GSK shot was given to more than 30 million people in 47 countries during the 2009-2010 H1N1 swine flu pandemic. Because it contains an adjuvant, or booster, it was not used in the United States because drug regulators there are wary of adjuvanted vaccines. GSK says 795 people across Europe have reported developing narcolepsy since the vaccine’s use began in 2009. Questions about how the narcolepsy cases are linked to Pandemrix, what the triggers and biological mechanisms might have been, and whether there might be a genetic susceptibility are currently the subject of deep scientific investigation. But experts on all sides are wary. Rare adverse reactions can swiftly develop into “vaccine scares” that spiral out of proportion and cast what one of Europe’s top flu experts calls a “long shadow” over public confidence in vaccines that control potential killers like measles and polio. “No-one wants to be the next Wakefield,” said Mignot, referring to the now discredited British doctor Andrew Wakefield who sparked a decades-long backlash against the measles, mumps and rubella (MMR) shot with false claims of links to autism. With the narcolepsy studies, there is no suggestion that the findings are the work of one rogue doctor. Independent teams of scientists have published peer-reviewed studies from Sweden, Finland and Ireland showing the risk of developing narcolepsy after the 2009-2010 immunization campaign was between seven and 13 times higher for children who had Pandemrix than for their unvaccinated peers. “We really do want to get to the bottom of this. It’s not in anyone’s interests if there is a safety issue that needs to be addressed,” said GSK’s Begg. Emelie’s parents, Charles and Marie Olsson, say she was a top student who loved playing the piano, taking tennis lessons, creating art and having fun with friends. But her life started to change in early 2010, a few months after she had Pandemrix. In the spring of 2010, they noticed she was often tired, needing to sleep when she came home from school. But it wasn’t until May, when she began collapsing at school, that it became clear something serious was happening. As well as the life-limiting bouts of daytime sleepiness, narcolepsy brings nightmares, hallucinations, sleep paralysis and episodes of cataplexy – when strong emotions trigger a sudden and dramatic loss of muscle strength. In Emelie’s case, having fun is the emotional trigger. “I can’t laugh or joke about with my friends anymore, because when I do I get cataplexies and collapse,” she said in an interview at her home in the Swedish capital. Narcolepsy is estimated to affect between 200 and 500 people per million and is a lifelong condition. It has no known cure and scientists don’t really know what causes it. But they do know patients have a deficit of a brain neurotransmitter called orexin, also known as hypocretin, which regulates wakefulness. Research has found that some people are born with a variant in a gene known as HLA that means they have low hypocretin, making them more susceptible to narcolepsy. Around 25 percent of Europeans are thought to have this genetic vulnerability. When results of Emelie’s hypocretin test came back in November last year, it showed she had 15 percent of the normal amount, typical of heavy narcolepsy with cataplexy. The seriousness of her strange new illness has forced her to contemplate life far more than many other young teens: “In the beginning I didn’t really want to live any more, but now I have learned to handle things better,” she said. Scientists investigating these cases are looking in detail at Pandemrix’s adjuvant, called AS03, for clues. Some suggest AS03, or maybe its boosting effect, or even the H1N1 flu itself, may have triggered the onset of narcolepsy in those who have the susceptible HLA gene variant. Angus Nicoll, a flu expert at the European Centre for Disease Prevention and Control (ECDC), says genes may well play a part, but don’t tell the whole story. GSK is funding a study in Canada, where its adjuvanted vaccine Arepanrix, similar to Pandemrix, was used during the 2009-2010 pandemic. The study won’t be completed until 2014, and some experts fear it may not shed much light since the vaccines were similar but not precisely the same. It all leaves this investigation with far more questions than answers, and a lot more research ahead. In his glass-topped office building overlooking the Maria Magdalena church in Stockholm, Goran Stiernstedt, a doctor turned public health official, has spent many difficult hours going over what happened in his country during the swine flu pandemic, wondering if things should have been different. “The big question is was it worth it? And retrospectively I have to say it was not,” he told Reuters in an interview. Being a wealthy country, Sweden was at the front of the queue for pandemic vaccines. It got Pandemrix from GSK almost as soon as it was available, and a nationwide campaign got uptake of the vaccine to 59 percent, meaning around 5 million people got the shot. Stiernstedt, director for health and social care at the Swedish Association of Local Authorities and Regions, helped coordinate the vaccination campaign across Sweden’s 21 regions. The World Health Organization (WHO) says the 2009-2010 pandemic killed 18,500 people, although a study last year said that total might be up to 15 times higher. While estimates vary, Stiernstedt says Sweden’s mass vaccination saved between 30 and 60 people from swine flu death. Yet since the pandemic ended, more than 200 cases of narcolepsy have been reported in Sweden. Yet the problem with risk-benefit analyses is that they often look radically different when the world is facing a pandemic with the potential to wipe out millions than they do when it has emerged relatively unscathed from one, like H1N1, which turned out to be much milder than first feared. David Salisbury, the British government’s director of immunization, says “therein lies the risk, and the difficulty, of working in public health” when a viral emergency hits. Pandemrix was authorized by European drug regulators using a so-called “mock-up procedure” that allows a vaccine to be authorized ahead of a possible pandemic using another flu strain. In Pandemrix’s case, the substitute was H5N1 bird flu. When the WHO declared a pandemic, GSK replaced the mock-up’s strain with the pandemic-causing H1N1 strain to form Pandemrix. GSK says the final H1N1 version was tested in trials involving around 3,600 patients, including children, adolescents, adults and the elderly, before it was rolled out. The ECDC’s Nicoll says early warning systems that give a more accurate analysis of a flu strain’s threat are the best way to minimize risks of this kind of tragedy happening in future. Salisbury agrees, and says progress towards a universal flu vaccine – one that wouldn’t need last-minute changes made when a new strain emerged – would cuts risks further. With scientists facing years of investigation and research, Emelie just wants to make the best of her life. She reluctantly accepts that to do so, she needs a cocktail of drugs to try to control the narcolepsy symptoms. The stimulant Ritalin and the sleeping pill Sobril are prescribed for Emelie’s daytime sleepiness and night terrors. Then there’s Prozac to try to stabilize her and limit her cataplexies. © 2013 Pakalert Press. All rights reserved.